Say this about the Dodgers over the past decade or so- even though they’ve always had the decency to get eliminated anywhere from fairly early on to VERY early on, they nevertheless find new, creative, and increasingly painful ways to break the spirits of their fanbase. Late inning meltdowns, close plays that don’t break their way- and yes, questionable managerial decisions that come back to haunt them later. But this? A guy stealing third base on a WALK?! That’s a new one. 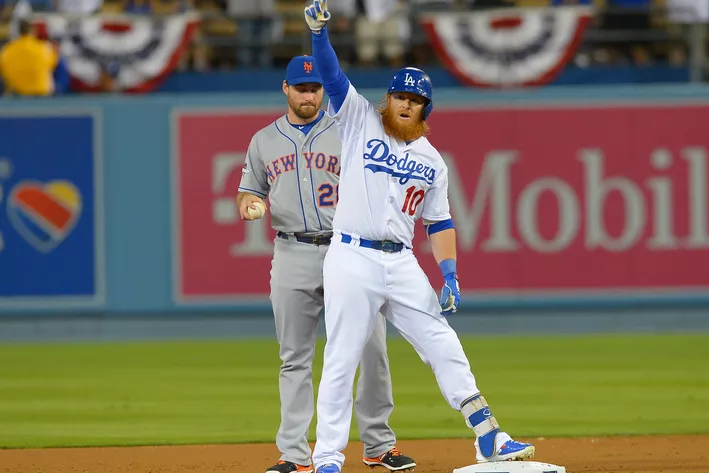 It’s a shame that all of the great Dodger narratives from 2015 will now be largely overlooked, if not completely buried- Justin Turner’s revenge against his former team in the NLDS, the greatest 1-2 punch in a starting rotation since Koufax and Drysdale, the emergence of a potential superstar shortstop for years to come- even the historic nature of Chase Utley’s slide will be far less impactful than originally thought, outside of some possible rule changes/enforcements to come. It’s hard to imagine there will be even the slightest bit of, “Aw shucks, at least we made it,” sentiment after this season’s end, especially seeing how surprisingly joyless the fanbase generally seemed much of the time, even though the team itself was pretty successful. There will be two narratives that probably WILL survive the 2015 season- one of them complete nonsense, the other debatable. First, the idea that the Dodgers “should” win because of their gaudy $300+ million payroll was ridiculous. Outside of Clayton Kershaw and Zack Greinke, most of that money was going to solid but overpaid, aging veterans (Adrian Gonzalez, Andre Ethier and Carl Crawford), pitchers that ultimately did not justify their value (Brandon McCarthy and, to a lesser extent, Brett Anderson), guys that weren’t on the team anymore (Matt Kemp, Dan Haren), or even guys that were NEVER on the team to begin with (Bronson Arroyo)! However you may feel about these transactions, the fact that all this money was being doled out shouldn’t make ANYONE feel more entitled to Dodger wins, than if that money was being spent on you and me. 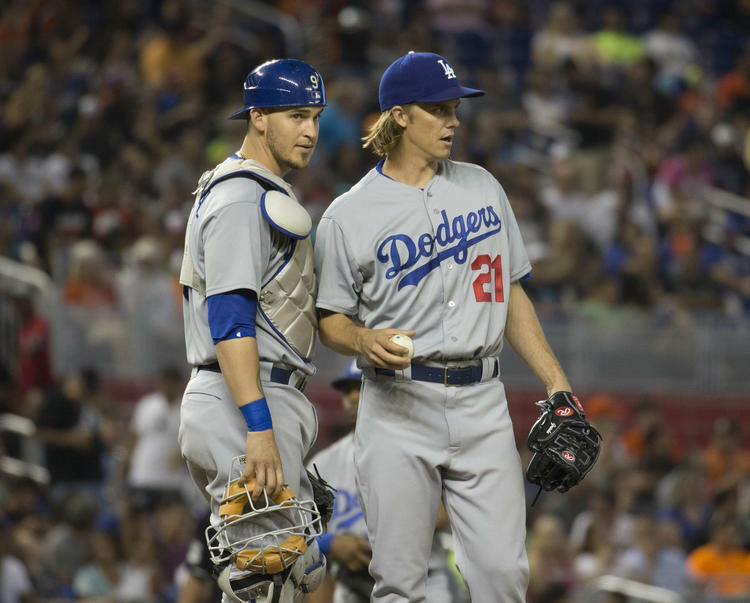 From the beginning, the 2015 Dodgers were a good team, but they were NOT a superteam. The second narrative has to do with how the Dodgers scored their runs throughout 2015- relying on the home run, while disregarding aggressive but smart base running. They did improve on the base running later in the year, with the addition of Ron Roenicke as third base coach, and Chase Utley as backup second baseman. But ultimately, this team did not know how to play “smallball” very well, even with those late season improvements. A lot of people dismissed this theory, but it’s exactly what played out in the NLDS. 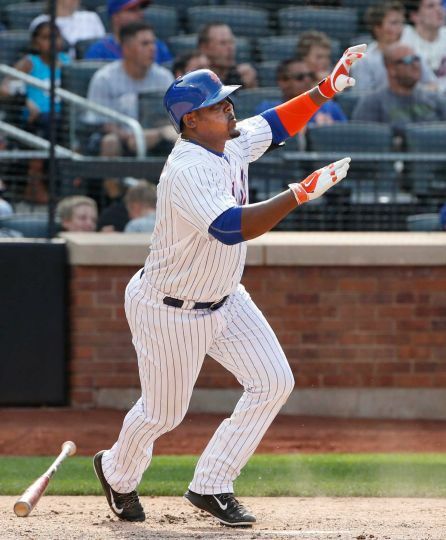 Against the Mets’ young power arms, they could not hit the ball over the fences (with the exception of game 3, and only after they were already being blown out), and ultimately ended up stranding A LOT of baserunners. Who’s on third for the Dodgers? Nobody. Absolutely nobody. But don’t forget to give credit to the Mets, too. 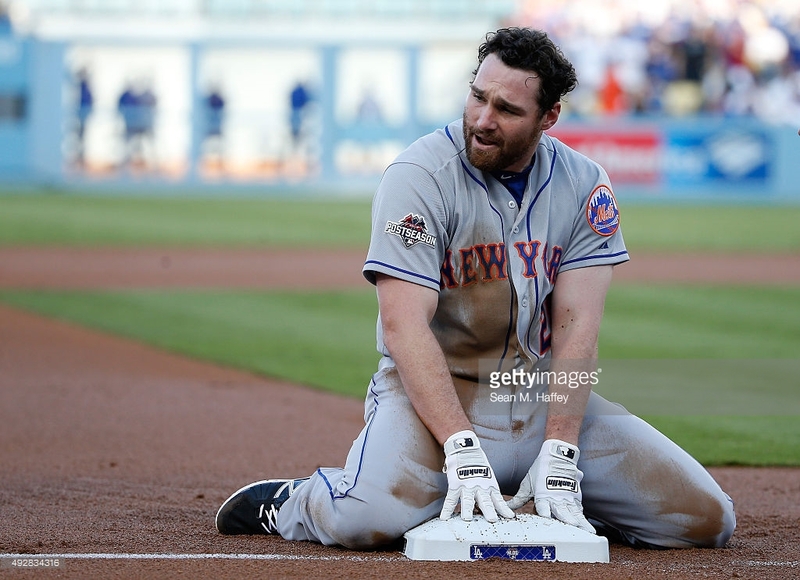 They had deeper starting pitching, and as hot as Justin Turner was, Daniel Murphy was hotter. Almost symbolically, Turner’s shocking steal of third base was one-upped by Daniel Murphy’s steal of third on a WALK, a play that will go down in Mets lore and Dodgers infamy for years to come. The Dodgers’ fate was then sealed when Murphy hit the go-ahead home run (of course he did) in his next at-bat, against Zack Greinke. Although the game still had a long way to go at that point, it sure didn’t feel that way. And speaking of fate, what of Don Mattingly’s? Right now, it doesn’t look good for him. Is he willing to be a so-called “lame duck” manager in 2016, something he was unwilling to do a couple of years back? He’d better be, because he sure as heck isn’t getting an extension. And even if he IS willing to be a lame duck, would Andrew Friedman’s crew be willing to allow it? DodgersFYI discredited game 1 rant notwithstanding, nothing Mattingly did was particularly egregious this series, even though the endless second guessing will only be amplified at this point. (Until I heard analysts and talking heads criticizing him for taking Kershaw out of game 3 on short rest after a WIN, I assumed unhinged criticism of Mattingly was limited to Dodger fans.) However, the perception of Mattingly as someone who has strategic shortcomings seems to be justified at times. Even if the front office admires Mattingly as a person and former playing great, it’s not hard to imagine that they are looking to install a boss on-the-field, who is more like-minded to the bosses off-the-field. But what of the minds of these front office guys? 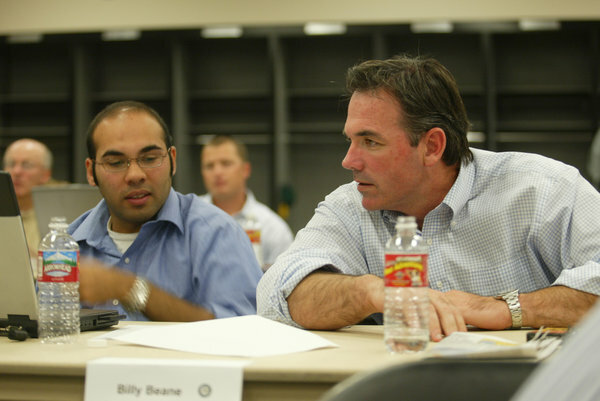 They made a lot of moves and spent a lot of money, ultimately resulting in several less wins in the regular season, and one only more in the postseason, than the squad that Ned Colletti put together one season earlier. They gave up a young, rising star in Dee Gordon, and traded a sometimes disgruntled franchise player in Matt Kemp to a team within their own division. It worked out for 2015, as Howie Kendrick was solid as always, Kiké Hernandez was a surprisingly good player, and Yasmani Grandal was the best hitting catcher during the 1st half of the season. But none of that matters now, as the team is going home early, again. These trades will be judged in what happens in the years to come. Already etched in stone is the pitching situation. Brandon McCarthy was hurt early on, as he has been throughout his career (although this was a new injury), and Brett Anderson, in spite of some good stretches during the season, was nothing special overall- not for the amount of money the Dodgers spent on him, while still paying Dan Haren to pitch elsewhere. There was some high praise for these moves early on from the analytics crowd, but in the end, left the Dodgers with a shallow rotation. You’ll have to forgive this post for being so grim, but as it’s being written, this is not exactly a time to reflect on the positive. Big changes are coming, and if the people that Guggenheim hired to make those changes do their jobs right, the team will be better for this in the long run. And the foundation isn’t all that bad, with Clayton Kershaw, Kenley Jansen, Corey Seager and a few others to build around. Most important of all, though, they better figure out a way to make sure that the rest of Los Angeles actually gets to WATCH this team after these changes are made- hopefully, with a fully recovered Vin Scully at the mic, to let us know about it all as it happens. 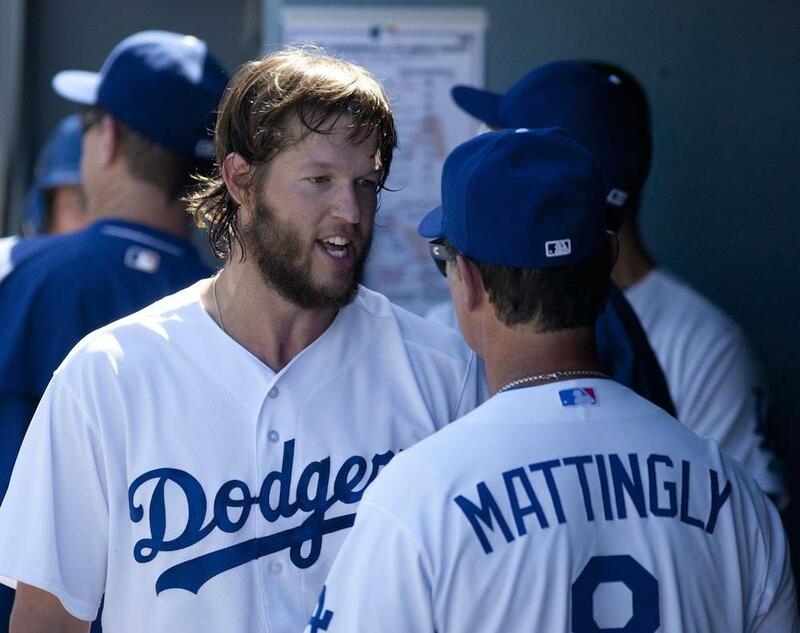 Watching Clayton Kershaw shout down Don Mattingly must have been the thrill of a lifetime for the many Dodger fans that double as Mattingly detractors. (It got so nasty at times this year, it felt more like Mattingly detractors were doubling as Dodger fans!) For anyone that doesn’t remember, it was a hot day, Kershaw wasn’t pitching all that well- at least by his standards- and the Dodgers were very close to wrapping up the division. Taking Clayton Kershaw out of the game at that point seemed like one of the more defendable, if controversial, strategic moves that Don Mattingly has made. Ironically, the main reason that Mattingly would later give for removing Kershaw DIDN’T seem justifiable, claiming that the Dodgers needed offense. The pinch hitter they decided on, Austin Barnes, is barely a better hitter than Kershaw. Regardless, the Dodgers ended up winning the game, and Kershaw pitched a complete game shutout against the Giants, to clinch the NL West, in his very next start. All-in-all, everything worked out fine. But getting back to the dugout argument, Kershaw’s contentious attitude towards Mattingly- along with his curt postgame answers AFTER A WIN– should give pause to any Dodger fan still seething about Kershaw being left in games 1 and 4 of last year’s NLDS, each time with a 2 run lead that would ultimately be coughed up. Up until each respective knockout blow was delivered, all the hits that Kershaw gave up were singles, many that were barely more than seeing-eye groundballs. Try to imagine Kershaw’s reaction to being taken out of THOSE games, along with the image of him watching in the dugout, as JP Howell coughs up his lead. You think fan reaction was furious with Kershaw left IN? I really think that Don Mattingly might have needed police protection under those circumstances. If anyone thinks I’m exaggerating, I was at game 2, when JP Howell DID cough up Zack Greinke’s masterpiece. The whole stadium was irate, but several fans in particular openly wished harm on Mattingly, along with JP Howell. It was a small number, and even amongst them, they probably wouldn’t have acted on it, if given the chance. But the fact that such sentiments could even be openly expressed in public without being questioned, shows just how toxic the situation can get. And if anyone thinks that fans would have gone easier had it been KERSHAW, there’s really no point in reading further, because they can’t be reasoned with, anyway. As for what we’ve seen from Kershaw in his postseason career so far, we’re getting very close to the point where we can’t chalk it up to small sample size anymore. He’s had a few outings where he’s looked like Kershaw, but all too many where hasn’t. So what gives? We can’t call his heart or determination into question. Is there anything we CAN call into question? The dugout confrontation against Mattingly got a lot of coverage, for obvious reasons. But something else happened in the game that got NO coverage, which might be even more noteworthy. 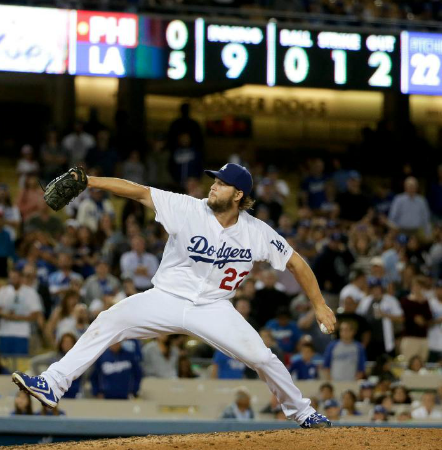 In the bottom of the third inning with two outs and the Dodgers down by 2, Kershaw was on second base. Justin Turner hit a line drive, which had a chance to drop in, but not a very good one. Ultimately, the centerfielder made a nice but unspectacular running catch to end the inning. Over at third base, Clayton Kershaw was charging for home, like his life depended on it. The Dodgers’ third base coach had to jump in front of Kershaw to get him to stop. While such hustle is normally appreciated, this was a very hot day, it was early in the game, and Kershaw was about to take the mound again. As amazing as Clayton Kershaw is, he is a human being, with all the same restrictions as the rest of us mortals. It would be hard to argue that this sprint didn’t take at least a LITTLE bit out of him, and even harder to argue after the very first batter Kershaw faced afterwards, hit a home run. Friday is going to be another hot day. Among the many things that Kershaw is justifiably praised for, he always gets high marks for being a complete ballplayer, as opposed to just a pitcher. Zack Greinke is a complete ballplayer, too, yet always seems to know when it’s wise to ease up a bit. Any little bit of an edge that might be gained by busting out of the batter’s box every time, could easily be lost (and then some) by the edge opposing hitters will gain, once that same pitcher doesn’t quite have it in him to, say, get out of the seventh inning on a hot day. Perhaps it would be best for Kershaw to not even put the ball in play again Jacob deGrom, so long as the other eight guys do. And with that, we transition to something that Don Mattingly IS responsible for. 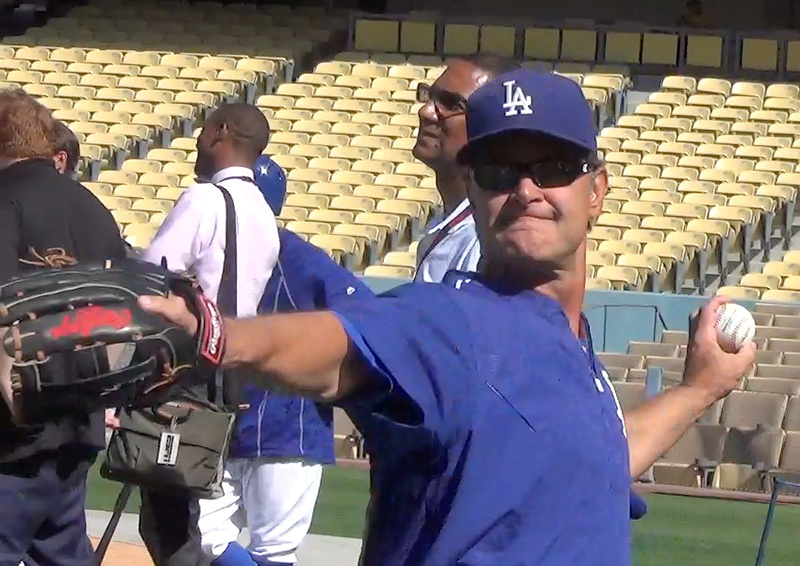 What Don Mattingly has on his hands is a nice problem to have, but it is a problem, nonetheless. With no clear cut superstars besides of his two aces on the mound, Mattingly has a deep and talented roster, but no one who is really head-and-shoulders above the rest. So at least for the NLDS, with the Mets’ righty-heavy starting rotation, the Dodgers will focus on getting as many lefties in there as possible. The only problem with that is…well, keep reading. Since it goes without saying by now that Corey Seager needs to be in there, the only question is whether he starts at shortstop, or third base. Shortstop seems the most likely, since that appears to be his most comfortable position. The other reason is that Justin Turner is a superior hitter to Jimmy Rollins right now. It also appears likely that Howie Kendrick will start of Chase Utley, simply because Kendrick is at the end of his prime, while Utley is well passed his. This is how the Dodgers might put a starting lineup together against the Mets, without two legendary Met killers penned in. Equally controversial is centerfield. Joc Pederson was a fan favorite, complete with all kinds of fawning press for months, even well after cooling down considerably. Meanwhile, Kiké Hernandez quietly proved to be the more professional, polished ballplayer, with better baserunning skills, more consistent at-bats, and defense that was actually pretty close to Joc’s. So, in spite of a righty-heavy starting rotation, Hernandez should be the one to start. The final controversy should not be a controversy at all. From May to July, Yasmani Grandal was incredible, proving us detractors wrong about him. However, he ended up getting injured in early August. Whether the injury lingered or he just developed bad habits, Grandal was historically bad the final two months of the season, while AJ Ellis looked revived. We really don’t need to discuss any further than that. Quite simply, AJ Ellis should start every game, and that should be that. For the few that still believe in Grandal, screaming “pitch framing!” at the top of their lungs- Clayton Kershaw, Zack Greinke and Kenley Jansen should not need help with pitch framing. That sums it up. Let’s just hope that this NLDS ends up better than the last one. Stop me if you’ve heard this one before- a versatile, energetic but unspectacular infielder is discarded by his lowly team. In a move that barely registers on the radar, the Dodgers acquire the player in question, rewarding him with a salary that doesn’t constitute 1% of the team’s gaudy overall payroll. Early in the season, the young player struggles with the limited playing time he’s given. This doesn’t bother the fans much, though, seeing how most of them don’t even know who the guy is! Then, injuries to starters change his fate. Quietly at first and then with increasing fanfare, the player flourishes. The player goes from expendable utility player, to super-utility player, to potential star player. It’s pretty incredible that a team with so many well-known (and well-paid!) players can find such great fortune with someone so low-cost, whom hardly anyone ever heard of. Even more amazing is the fact that it happened two years in a row. With Hector Olivera’s departure to Atlanta, Justin Turner had finally been assured his rightful place in the Dodgers’ everyday lineup- in the MIDDLE of it, in fact! 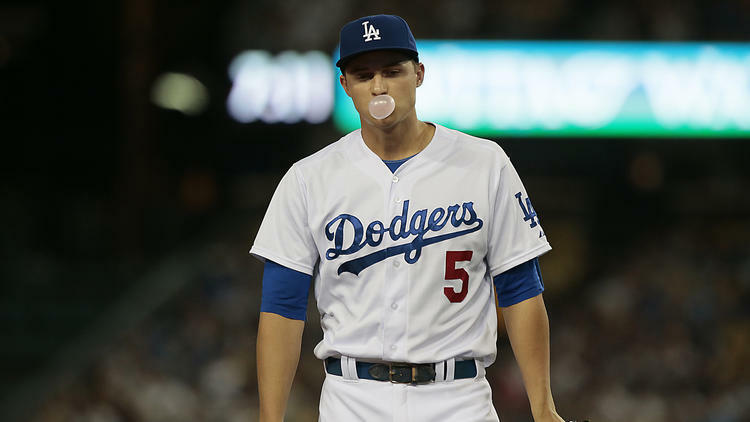 Being exactly one year behind Turner, Kiké Hernandez might have to wait a little bit longer. But if he keeps this up, it’s only a matter of time before he finds himself completing that final transition to everyday player, as well. Don’t feel bad, Kiké. 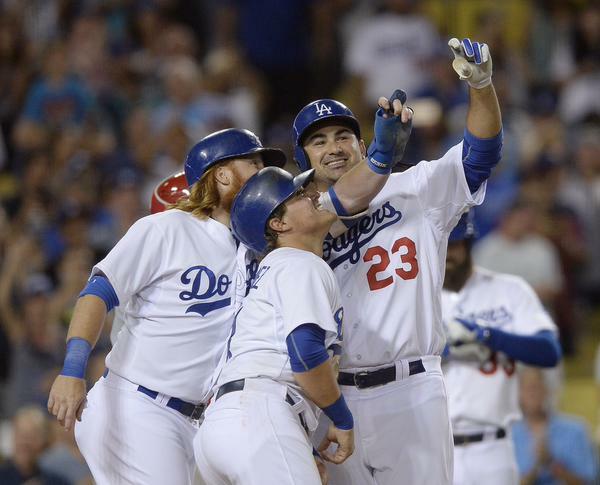 Last year, Justin Turner couldn’t afford an invisible camera, either. Hernandez’s evolution this season has been fun to watch. Starting out as a quirky fan favorite- kind of a modern-day Mickey Hatcher- Hernandez gradually became a force to be reckoned with. Probably the least heralded player of the seven involved in what was essentially a 3-way trade between the Dodgers, Marlins, and Angels, Hernandez has probably been the most productive zsince the All-Star break. This has to be a relief for Andrew Friedman and company. It was always an extreme risk to trade Dee Gordon, a budding star, for one year of Howie Kendrick. (Giving up Dan Haren without a dollar of compensation didn’t help, either.) No matter how good Howie was going to be this season- and to be fair, he has been quite good- it was all going to be about whether he could get the Dodgers to, if not THROUGH, the World Series. (Those aren’t terms that I came up with- that’s how the trade was set up from the day it was made. We’ll leave Chris Hatcher and Austin Barnes out of the equation, until given reason to do otherwise.) When Howie went down with a somewhat serious looking hamstring injury last week, it looked like the short-term nature of the trade might have gotten that much shorter. Enter Kiké Hernandez. After spending the first few days of Kendrick’s injury looking at newly acquired prospect Jose Peraza, the Dodgers made Hernandez the everyday second baseman. 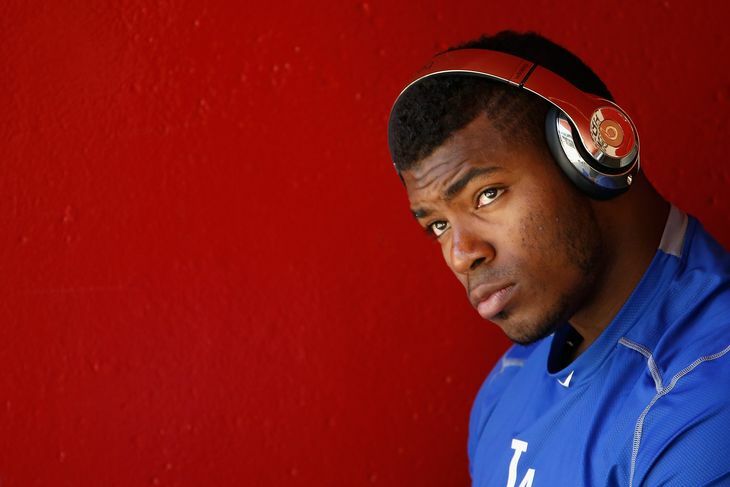 (Peraza was sent back to Oklahoma, to make room for Turner’s return from the disabled list.) Hernandez continued to do what he had been doing for some time, both in the field and at the plate. The only difference is that now, he gets to play the same position on an everyday basis. While it’s only been a few days at the time of this post, the results have been head-turning, especially his 435 foot homerun into the left-field pavilion on Saturday. Of course, a few games isn’t enough to make ANY kind of meaningful judgment on what someone can do at the big league level. But at the time of this posting, Hernandez has 147 at-bats this season, or roughly the amount that Justin Turner had last year, before people started taking him seriously. Unlikely as it may seem, for the second year in a row, we are starting to see the same thing happen again. Perhaps the most convincing evidence that Kiké Hernandez is for real, is the fact that HE says he is for real. When asked about his super-utility player status, the young man who has gained a reputation as a goofball becomes as serious as a military commander. (During high school, Hernandez attended the American Military Academy in Puerto Rico.) To whomever asks him the question, Hernandez responds- without a hint of sarcasm- that he is NOT a utility player, has never been one, and does not intend to be one now. (Not that there’s anything wrong with that!) He is also quick to point out that he is only 23 years old, and while respectful of the fact that Howie Kendrick is the team’s second baseman if healthy, being someone else’s understudy is not part of his long-term career plan. This is all very impressive stuff, let alone from a 23 year old, playing in his first (almost) full Major League season, with a brand new organization. In spite of all this, it is too early to know if he’s for real. But with such a unique combination of poise, perspective, and confidence without arrogance, it should give Dodger fans, along with ALL fans of baseball*, reason to hope that he is. *Okay, maybe not Giants fans.